A completely furnished sweeping view unit that the Wall Street Journal chose for their special feature on the best example of in city living. Go directly from your two parking spots next to the 4th floor parking elevator to your Private elevator lobby accessed only by you. Total security and privacy. Top Seattle decorator Robert Arneson created one of the most impressive and relaxed places to live. 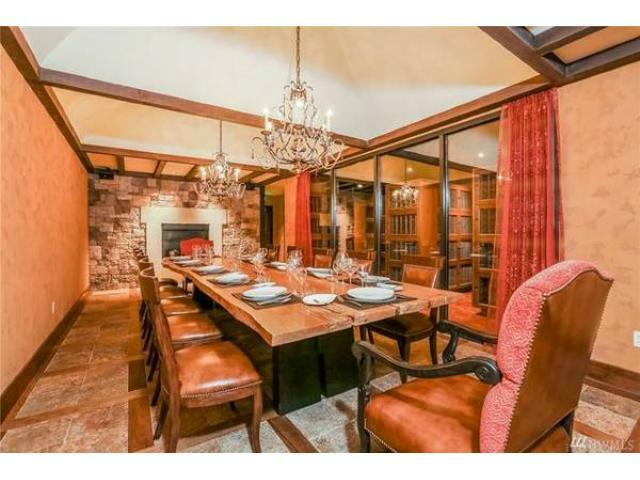 Huge space, five custom closets including a walk in wrap around master. 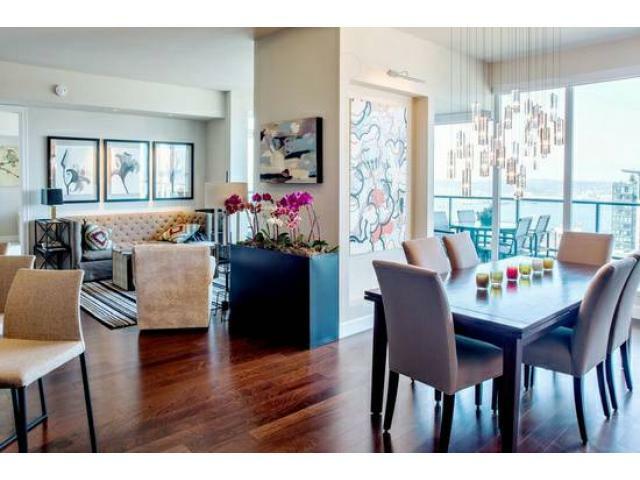 Stunning hard wood flooring with light wall accents and floor to ceiling glass the entire length of the unit. The 9'5" high windows take in the Harbor, shipping port, Ferris Wheel the boat traffic and the snow covered Olympic mountains. Your building has one of the most extensive workout clubs in the city with two current lap pools, a private spa, yoga and Pilates room all included. Your concierge service is second to none in the city with a personal and friendly touch and there to receive your groceries at 11PM if needed. Your building has a multi-media movie theater, industrial BBQ grills, a complete commercial kitchen for the chef in everyone as well as top of the line appliances in your own kitchen. Separate washer dryer and hanging room in the unit as well as massive amounts of storage for clothes, shoes and supplies. Master bath has 5 units including oversized tub and shower with twin sinks. Everything has been thought of for you and the best of everything is available in this unit and this building. Brand new Tempurpedic King mattress in master and queen in guest. Two and half baths with a total space of 2,250 square foot indoor, private lobby and wrap around balcony all for your privacy. Top of the line art work with power and remote controlled shades, designer fireplace and large screen television. It has all been created just for you. Everything ready for you to move in just bring your suitcases and you are finally home. 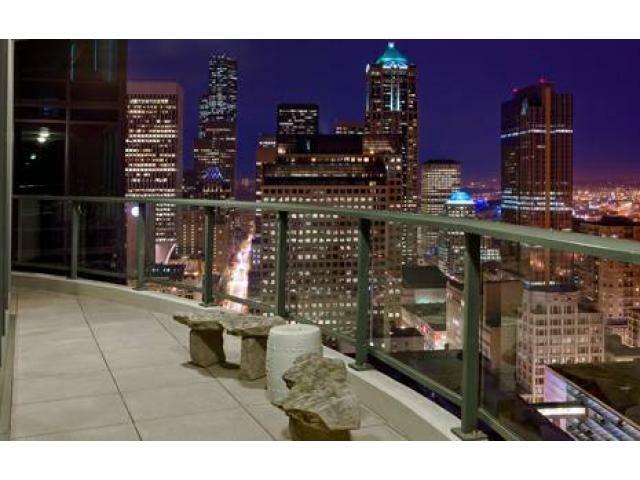 Lease includes 2,200+ square feet of private lobby, 2 bedrooms and balcony. Pets negotiable.